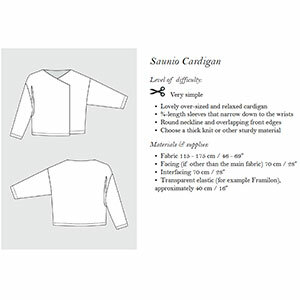 The Saunio is a lovely over-sized and relaxed cardigan. It features ¾-length sleeves that narrow down towards the wrist, a round neckline and overlapping front edges. 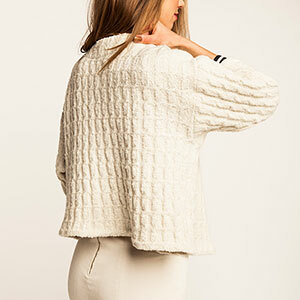 Suggested fabrics are mid to heavy weight knits such as hacci sweater, ponte de roma, french terry or cotton interlock.